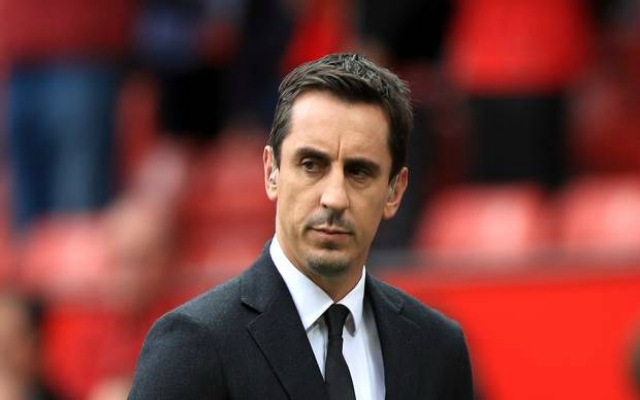 Gary Neville surprisingly claims "there's an opportunity for Liverpool here to step clear"
Speaking on the Gary Neville Podcast, the eponymous pundit offered a somewhat unexpected theory on our hopes of winning the title. “They’ll have known that was a big moment,” he claimed. “There will be times where Liverpool drop points before the end of the season, so too will Manchester City I think, but it couldn’t be on Sunday against Fulham. The former Manchester United defender also admitted that, “They had to win today. It wasn’t vintage Liverpool, after the week they’ve had, it would have taken a lot out of them. While over on Sky Sports Super Sunday, another former player much closer to home, Graeme Souness, pushed the point that we’ve improved in every year Jürgen Klopp has been at the helm. “People will point out if they don’t win the league or Champions League that it’s another year without winning a trophy, but each year they have got better and better. They have made a quantum leap this year by signing Virgil van Dijk and Alisson. But the Scot has also had to concede that, “They both got it wrong today for the Fulham goal, but I can’t remember another time that has happened. They have been fabulous all year. Liverpool are a serious team now. Plaudits from pundits are not always a good barometer for success, but if we keep winning games this title could well be coming to Anfield. On the other hand, Souness is right to claim that we’ve made steady, annual progress and always been fighting for something. While we missed out on the League Cup, Europa League, and Champions League in previous seasons, this campaign could quite possibly see us bring home the league title and maybe even the biggest prize in European club football to boot!